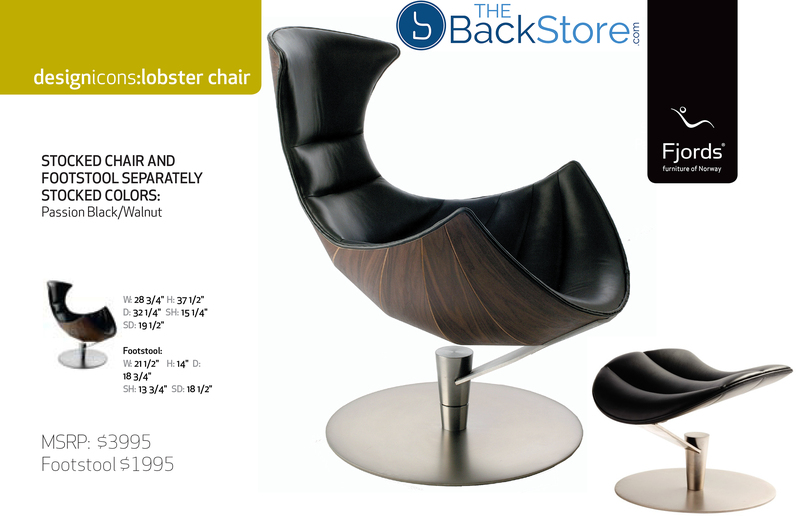 Fjords Lobster Chair Recliner and Footstool in Passion Black Leather Scandinavian Norwegian Lounge Chair. 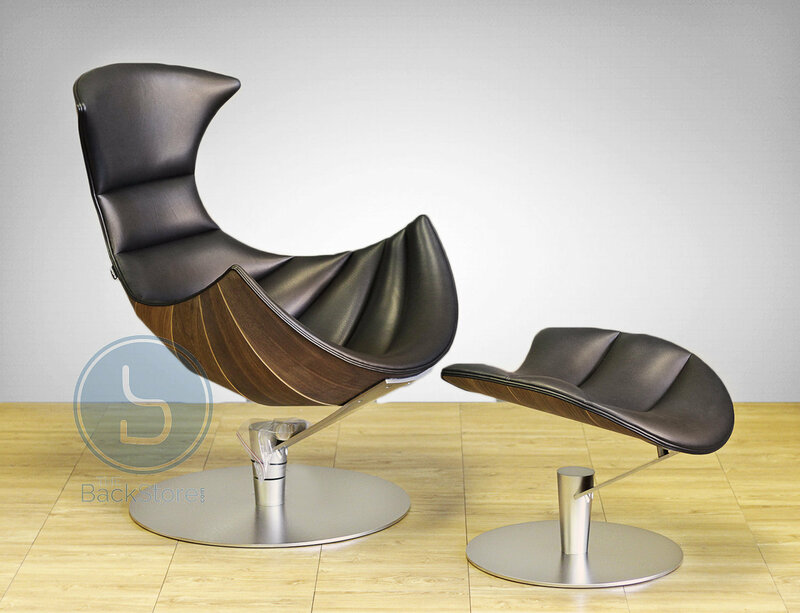 Seat Depth 19.5" - Seat Height: 15.2"
Seat Depth 18.5" - Seat Height: 13.7"
Fjords Lobster Chair and Ottoman - Leather Office Lounge Chair by Hjellegjerde. 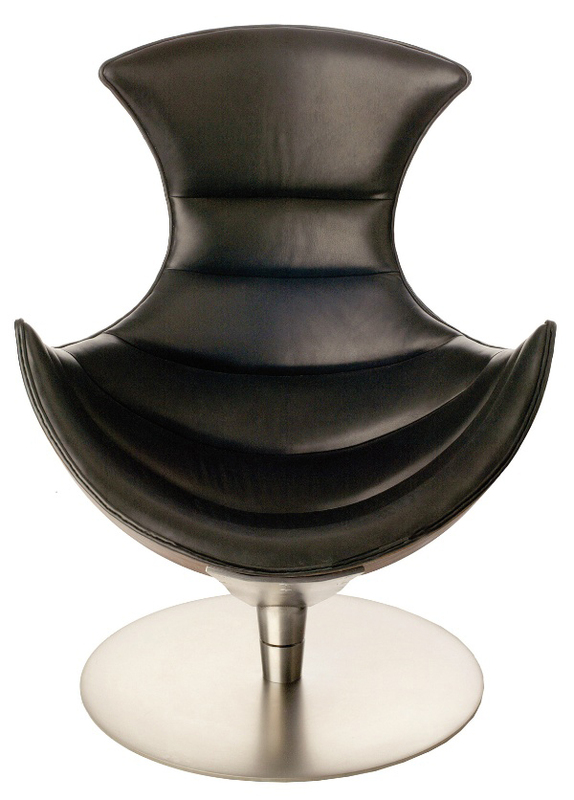 Deluxe Plush back cushion for a more comfortable seating experience. 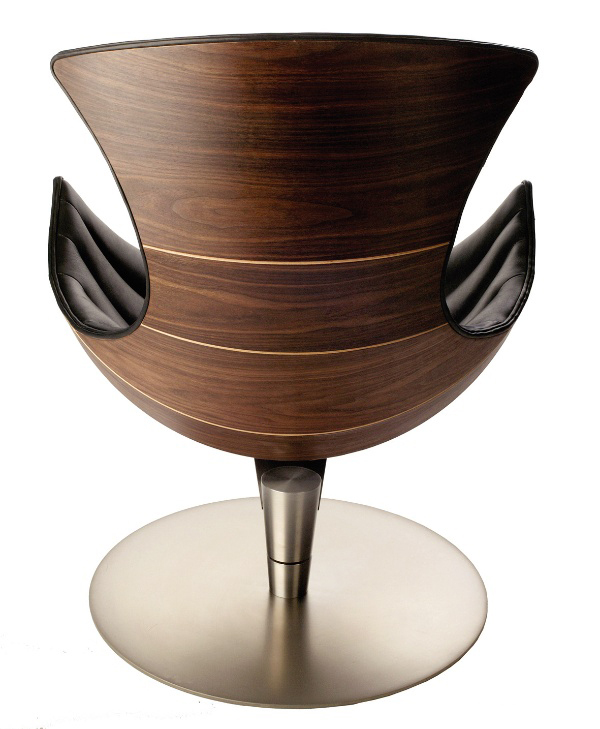 The Lobster chair has a laminated frame (shell) in beech wood, with exterior veneer of walnut or oak. 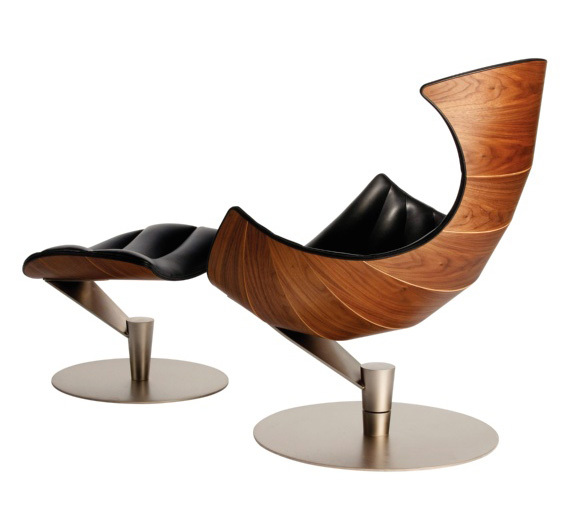 The Lobster Chair and footstool are upholstered with full-grain black leather with aniline grip. 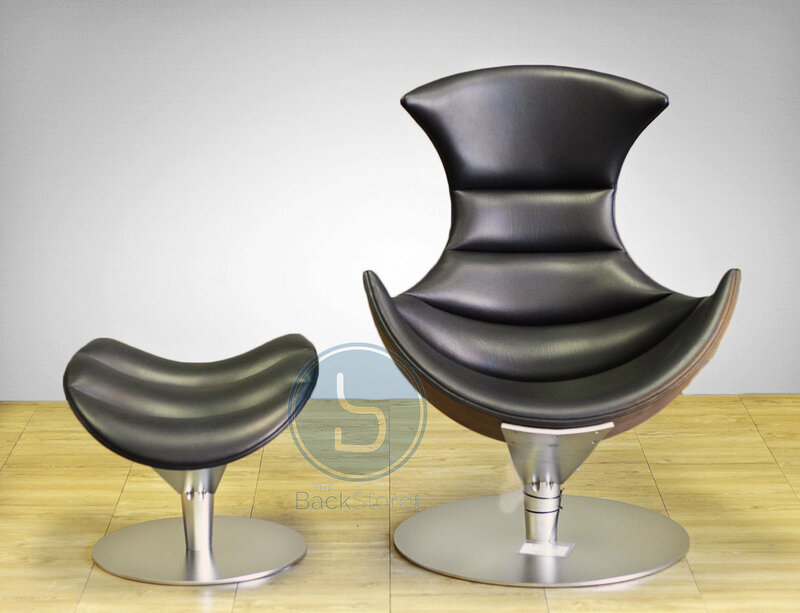 Chair and footstool are coated with a breathable and pressure sensitive Pantera foam. 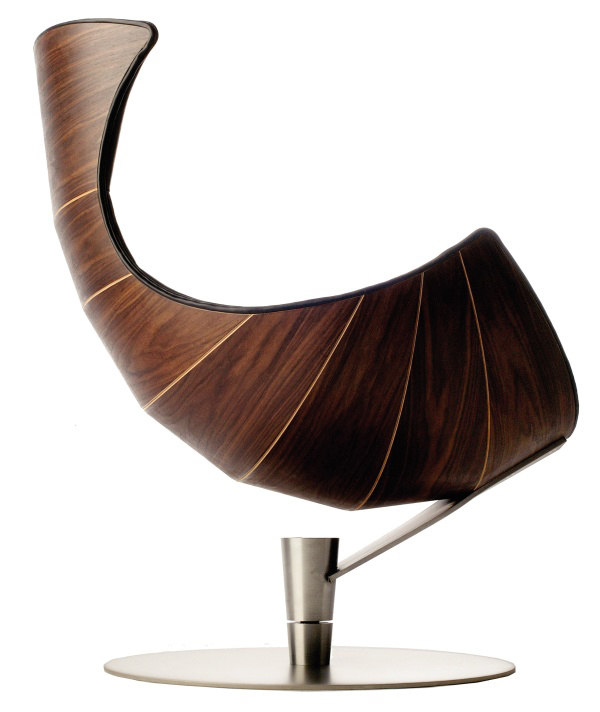 The chair can turn 360 degrees and the base is made of steel plated chrome. The construction is carefully balanced and tested. 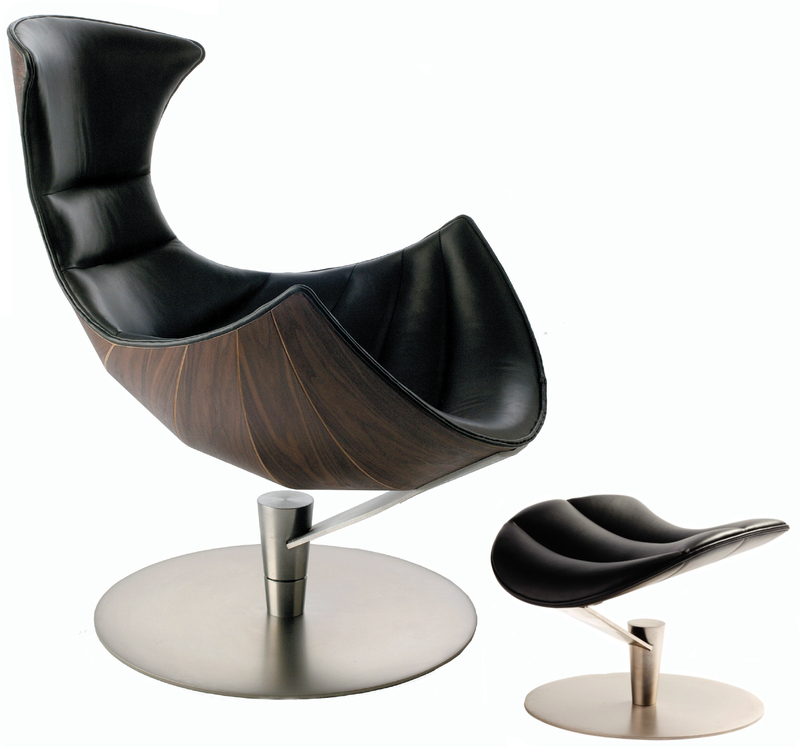 Genuine Fjords Leather Lobster Chair and Ottoman Footstool in Passion Black Leather and Walnut Wood.